The world premiere of Gerald Cohen's "L'dor VaDor" will occur at Avery Fisher Hall on Sunday, March 22 at 4:00 PM. The choral piece will be performed by the International Jewish High School Choir, HaZamir. Gerald will be playing the piano, which will be his performing debut at Avery Fisher. 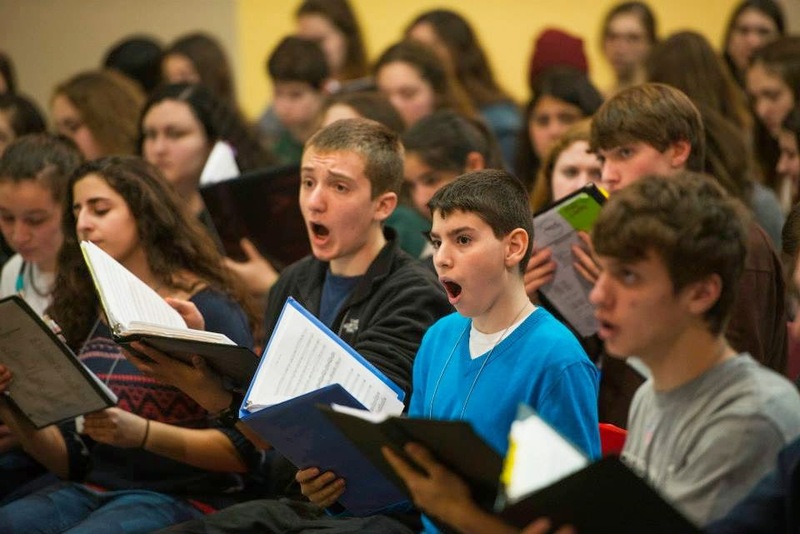 HaZamir brings together young people from the United States and Israel, who have been rehearsing in their own communities, for a concert each year in New York. There will be more than 300 young people performing in the chorus. Sandra Gibson and Luis Recoder’s installation Light Spill at the Crawford Art Gallery in Cork, Ireland (part of the Plastik Festival) features a running 16mm film projector from which film unspools onto the ground. 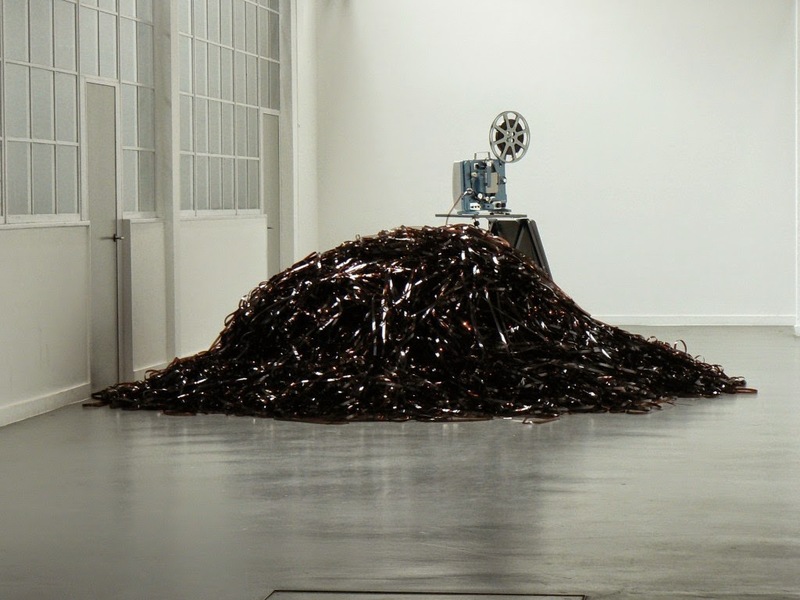 The piece is oddly unsettling: we feel the absence of the projectionist and the relentlessness of the machine that continues its mad course despite the tangle of celluloid piling up on the floor. It’s a witty metaphor for things unraveling and running amok with a potent reference, in particular, to the “death of cinema." Practitioners of “expanded cinema” Sandra and Luis have collaborated since 2000 producing numerous installations and performances that make full use of the visual, mechanical and conceptual qualities of film projection. Catherine Courtenayereports that she has been invited to speak at the TEDx Talk at the University of Montana, in Missoula, on February 20. This TEDx Talk theme is language and will feature 17 speakers from many disciplines. 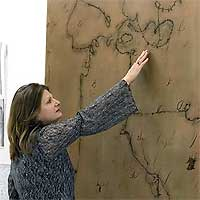 Catherine is the only visual artist included in the program and will address how and why she uses language in her painting. 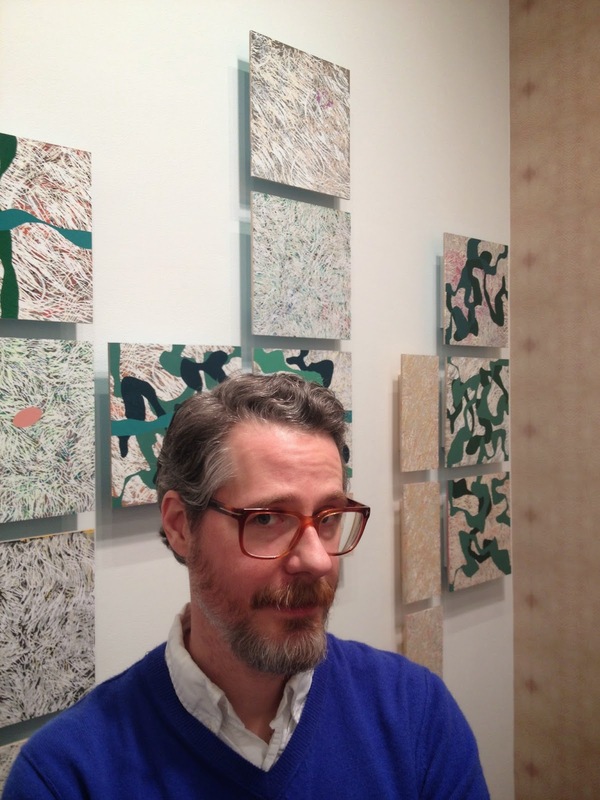 Catherine uses various digital and printmaking processes to incorporate examples from 19th century American penmanship manuals, arithmetic workbooks and handwritten ephemera into her paintings.